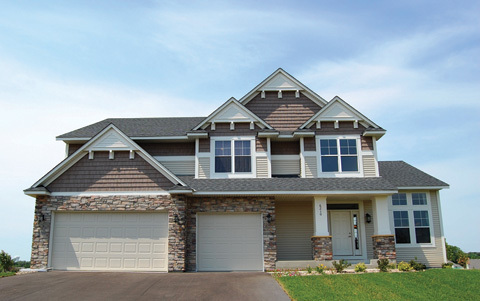 Homes for sale in St. Michael MN range from the modestly priced to more luxury pricing. You can find properties in St. Michael from $150,000 to well over several hundred thousand dollars for the more lavish of homes. Call DMG at 612-282-SOLD and let us know what you’re looking for. Our agents will send you a list of active homes for sale in St. Michael right away. St. Michael homes for sale are ideal for families and individuals who are looking for great starter size homes all the way to extravagant custom builts with all the bells and whistles. Some of the St. Michael neighborhoods include the Foster Lakeshore Acres, The East Village at the Preserve, Crow River Highlands, The Highlands and Forest Oaks, just to name a few. The Fox Hollow Golf Course is a short distance from these St. Michael communities with golfing opportunities for golfers of all skill levels. Don’t want to buy in a neighborhood? No problem, there are many St. Michael homes for sale where you can find acreage properties with 1 acre to forty or more. Located in Minnesota’s Wright County, the St. Michael real estate market offers many opportunities for families and individuals. Many families enjoy going to downtown St. Michael and strolling through the Colonial Mall. This community caters to residents of all ages. For seniors, the Crow River Senior Center offers field trips, recreational activities and classes through community education. The center also provides a transportation service and Meals on Wheels programs for those who are unable to get out and do things on their own. If you’re a golfer, St. Michael offers one of the nicest greens in the metro! Fox Hollow Golf Club has a river that flows through it with fast greens and tree lined fairways…an excellent way to spend a warm summer afternoon. As St. Michael Realtors, we have listed and sold many St. Michael properties. DMG would like to offer you a free, no obligation home market analysis of your property or show you what the current home inventory is. If you’re either considering a move or needing to list your current home, make sure to use a Realtor that knows the area. DMG can also help with any home mortgage needs.